How does Amazon Locker work? How do I start using Amazon Locker Glitter? 2. You’ll be redirected to the Amazon sign in page. When prompted, sign into your Amazon.co.uk account. 3. Once you’re signed in, we’ll automatically add the Amazon Locker address to your Amazon.co.uk address book. Once the address is in your address book, you can select “Dispatch/Return to this address” during the checkout/returns process and complete your transaction as usual. All items must be eligible for delivery to a locker. 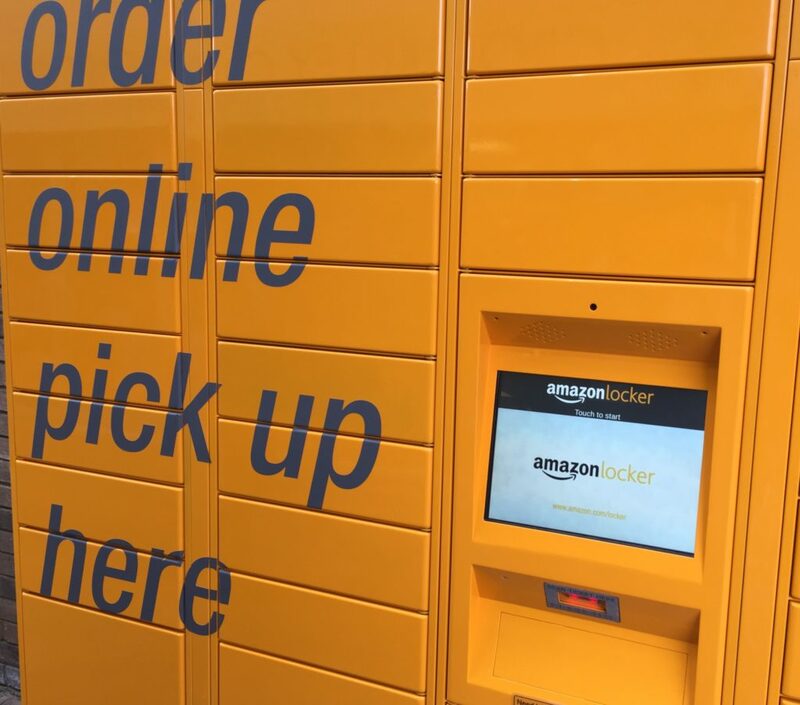 Once your parcel is delivered to the Amazon Locker, you’ll receive an e-mail notification with a unique pickup code. When you arrive to collect your parcel, enter your pickup code or scan the barcode using the barcode scanner and follow the instructions on the screen. All parcels delivered to locker locations must be picked up within three business days. If you’re not able to collect your parcel within this timeframe, the parcel will be returned for full a refund. To return an Amazon parcel via Amazon Locker, create a returns label using the Returns Support Centre. This will generate an email with your unique return code. When you arrive at the locker, enter your return code into the keypad and follow the instructions on the screen. How do I find the Amazon Locker Glitter?